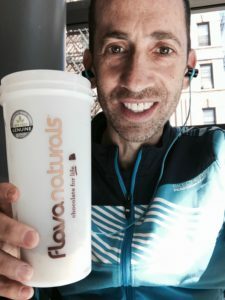 As the 2017 Fitness Idol winner and CEO of RunHabX, Joel Matalon has over 30 years of industry experience. 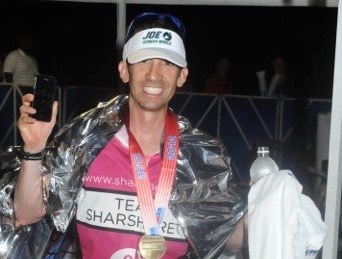 Joel is an accomplished Ironman Triathlete, Marathoner and Ultra Marathoner, Spartan™ coach, life coach and Skechers™ sponsored athlete. He presents, trains and certifies globally in ChiRunning® and ChiWalking®. He is a FlavaNaturals Brand Ambassador and creator of the annual ChiPerformance Summit. His clients include professional and everyday athletes, celebrities, schools and Fortune 500 companies. Q: Tell us a bit about your daily workout routine. A: I currently run about four hours per day (20-30 miles) training clients for marathons that they run in the Northeast and globally. I also teach fitness classes and serve as a life coach for several clients. Days are long but fulfilling! Q: How does FlavaNaturals fit into your daily life? A: I was introduced to FlavaMix® as part of the brand’s 10 Day Challenge, and have now incorporated it into my daily nutrition routine. 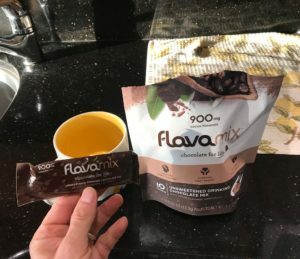 I prefer FlavaMix to other cocoa because it contains more flavanols, fewer sugars and less processing. As someone very attuned to what I ingest, it fits my clean eating commitment and helps me feel and perform at my best. Q: How did you consume FlavaMix® during the 10 Day Challenge, and how was your overall experience? A: I added FlavaMix® to my oatmeal, coffee, proteins shakes and hot chocolate, all with only modest amounts of sugar. As an athlete, coach and dad, I’m a stickler for getting what is needed and reducing excess waste (and ‘waist’). This has me committed to being a top FlavaNaturals brand ambassador for years to come. Q: What do you like most about FlavaNaturals products? A: What I like most about FlavaMix® is its availability of nutritional benefits within a small, easy to travel packet. I can have it on-the-go and add it to coffee, some teas, oatmeal, protein shakes and it has been awesome for adding to the dessert I made for my wife’s birthday this week. Interested in trying the 10 Day FlavaMix® Challenge? Read more here.